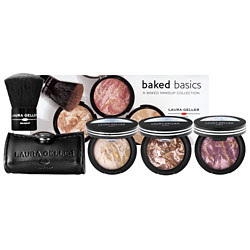 I've heard a lot of good things on YouTube about Laura Geller's baked basics line. She's been on QVC before and I've been so tempted to make a purchase but I thought I'd hold out for Christmas.This set has Balance N Brighten- a color corrective powder foundation- And also Bronze N Brighten- which is said to be able to be used as bronzer, blush, or even eyeshadow. The third product is Blush N Brighten- in an interesting berry shade that is supposed to go on sheer. Plus it all comes with a brush and that cute case. 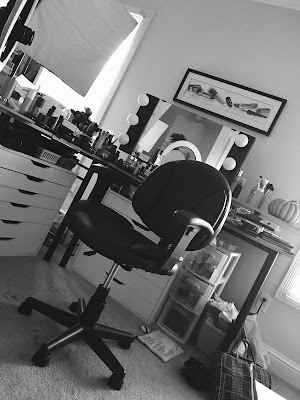 I think it's all mineral makeup. 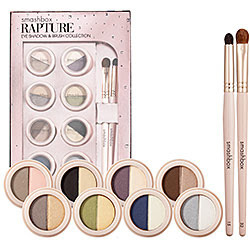 This kit looks like a dream come true for Smashbox eyeshadow lovers like myself. It's 8 different duos, plus some great looking brushes. 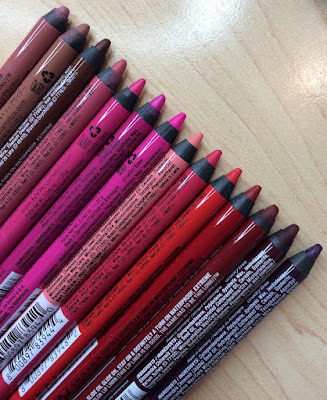 I have a few trios from this brand- and I LOVE them. They're so pigmented, and I've been wanting to try more. This set seems to have a nice variety of colors, and I know Smashbox's brushes are awesome. Can you imagine the tutorials that could be donee with this set?! Also I think pretty much all of these colors could work for anchoring- nothing too wild & crazy, but still some nice colorful shades. I love all of Laura Geller's baked products! Let me know if you purchase any or the entire set! Bronze'n'Brighten is an absolute staple in my makeup collection!